With a distinctive Art Deco twist, the Granley offers elegance to any period bathroom. 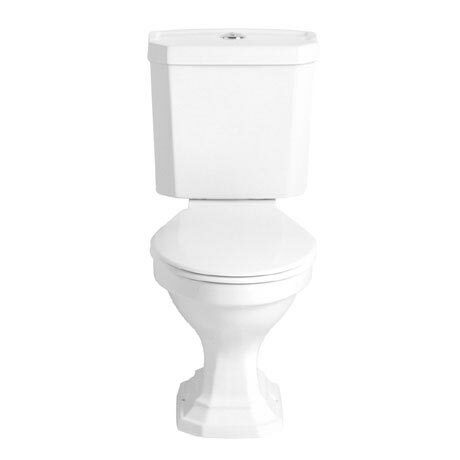 This Close Coupled WC & Portrait Cistern is constructed from high grade vitreous china ensuring a quality finish and long lasting durability. Comes complete with a 3 and 6 litre dual flush chrome push button and cistern fittings. For peace of mind Heritage offer a lifetime guarantee on all their sanitary ware.